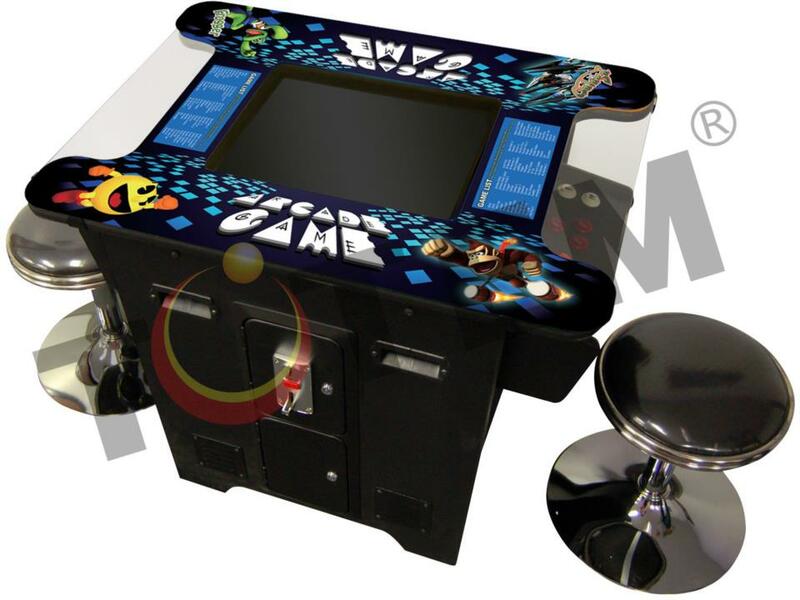 Totem 19 inch Cocktail Table Arcade Game Machine With 2 Stools (Description: 1. 19 inch TFT LCD 2. Quality 18mm MDF wood cabinet wood cabinet, 8mm Tempered glass protect on the surface 3. With artwork 4. 60 in 1 game 5. With 1pcs multi coin acceptor can accept 6 different denomination 6. 2 players, joysticks and pushbuttons 7. 28P standard jamma harness 8. With 2 stools 9. Size: W875*D640*H720mm) collected in Totem - Chris by Chris Wu - Collected It!